Arthur Simpson is a rogue. He is a cheat, a conniver, a swindler, a pickpocket, a crook, and an opportunist. This is not to say he is any good at these "habits". He's usually quite bad at all of them but that doesn't stop him from trying. Half English and half Egyptian, Simpson roams the Middle East trying to earn a dishonest living. As the two-book series opens, he is in Greece but, when he is caught trying to steal travelers' checks from a would-be mark, he is coerced into driving a car into Turkey. At that point he learns he's not good at smuggling, either. Neither of the two adventures about Simpson have actual spying going on per se but this is a spy series because many of the characters involved think there is spying going on. Or want it to go on. Or are trying to stop it from going on just in case it is. While these are light-hearted romps, the characters taking part are very serious. They have plans highly thought out and meticulously followed. But it is hard to stay on plan when one has to deal with a man like Simpson who has no real honor and no real ability to keep from being himself. Simpson definitely does not want to be thought of as a spy, unless there is any money in it, nor does he really think of himself as a crook as that would be a bad man and he is not really bad, just hungry and broke and he would rather not be either. Note: in 1964, the movie Topkapi was made from the first book. It starred the incredibly gifted Peter Ustinov as Simpson and he so nailed the role that it is hard to read the book again without see Mr. Ustinov in each scene. 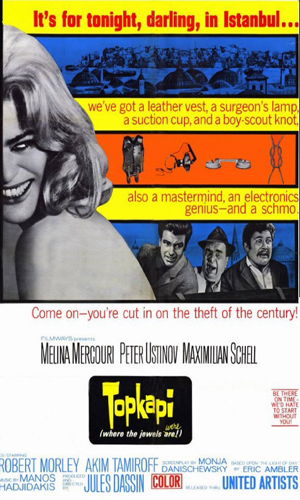 Trying to steal from a mark, Arthur Simpson gets roped into helping a team of thieves pull off a great heist. Being Simpson, he accidentally convinces the Turkish authorities the team is about to launch a coup. 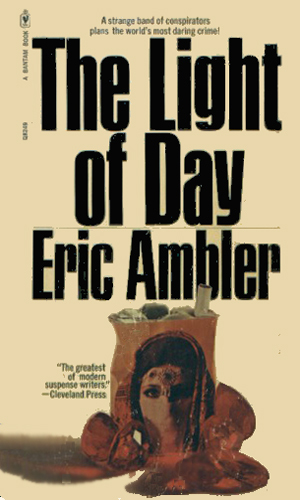 Fleeing to Central Africa to save his skin, Arthur Simpson convinces his new employers that he is an accomplished soldier of fortune. That gets him mixed up with a multinational corporation who is vying for mineral rights in a hotly contested border area where no one trusts no one. A jeweled dagger in an Istanbul museum is the target for a group of skilled thieves who have some luck issues. 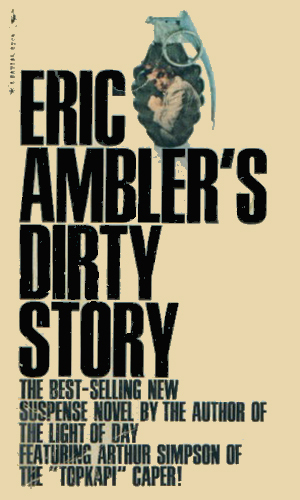 Eric Ambler was not known for light-hearted novels. His novels usually had far more sombre purpose, whether it was talking about the falling colonies in Southeast Asia or about the chillying of the Cold War. But the same genius at those books also had just the lightest touch when it came to letting the reader see a more humorous side to things. You'd never like Arthur Simpson. You'd never hang with him for long and would always be touching your wallet while you did. But you really have to like reading about him. I did.